The Confluence Ranch is blessed with all the attributes of a true “Sportsman’s Ranch.” Quality habitat for upland birds, pheasant, trout, and both species of deer put it in a class by itself. With the ability to expand one’s recreational footprint onto adjacent state lands, it turns a modest-sized sporting ranch into a property of some significance.The private bridge entrance gives one a sense of complete privacy and The Confluence is no slouch in the aesthetics department either. The intimate views of the river and spring creek bottoms from the lodge expand to include a classic railroad trestle several miles above the property. The wonderful diversity of ecosystems on the property itself is appealing, as are the big views of the surrounding mountains and the Judith Basin from the upper reaches of the ranch. All of this makes it a ranch that does not blow one away on first meeting, but tends to get better with age and with coming to know it. Aptly named, the 853-acre Confluence Ranch lies at the confluence of Big Spring Creek and the Judith River about 18 miles northwest of Lewistown. It is a classic sportsman’s ranch offering three distinct ecosystems with habitat for pheasants, whitetail deer and waterfowl along its Judith River and Big Spring Creek riparian bottoms. Big Spring Creek is also a renowned trout fishery. These bottomlands are joined to cropland on the first bench above the river bottom by a series of brush-filled coulees that offer additional habitat for pheasants and deer as well as for upland birds including both Hungarian partridge and sharptail grouse. The extensive benchland crop ground gives away to rougher pine-covered hills and valleys where one is more likely to find upland birds and mule deer. 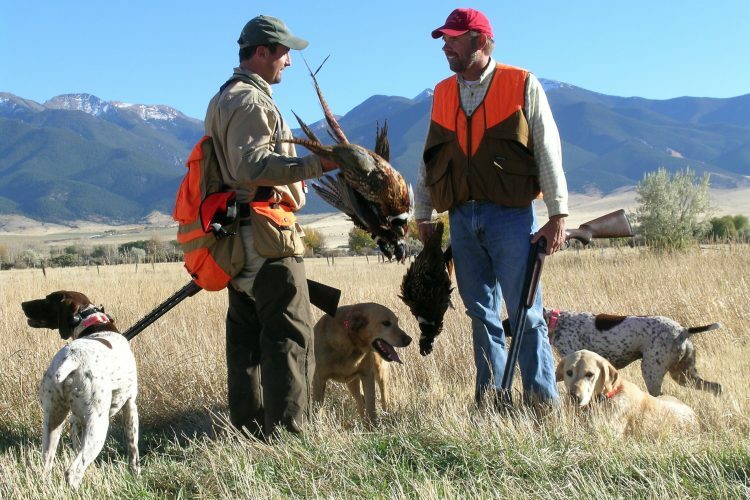 The hunting and fishing on the ranch is greatly enhanced by nearly 1,000 acres of adjoining State of Montana land. The improvements include a 10-year old hunting “lodge” and a barn with corrals. The Confluence Ranch takes its name from the junction of Big Spring Creek and the Judith River which occurs on the west end of the property. The Big Spring Creek enters the property on its south border, meandering its way through approximately 600 yards to the confluence. The ranch occupies a rough rectangular shape with the longer axis lying in an east-west direction. Beginning at the river there are two distinct benches proceeding eastward and ultimately a set of conifer-covered hills at the east boundary. The lowest bench immediately above the river is comprised primarily of crop ground. There is evidence of old irrigation ditches, though current owners no longer utilize them. The remainder of this bench would be classified as riparian bottomland. The edges of the field and the southwest corner surrounding the Big Spring Creek would certainly be so classified. This bottomland makes an outstanding pheasant and whitetail cover. It is relatively open with an occasional cottonwood. A steep rise of approximately 200 feet brings one to the upper bench through a series of brushy coulees and draws. This bench is currently utilized as dryland crop ground. A well- defined coulee protecting an intermittent stream drains the southern half of the ranch and feeds into Big Spring Creek. The upper third of the ranch is made up of very well-sodded grassy hills whose tops are covered with pines. The western sides of these hills are abrupt sandstone faces. The other aspects are more gradual. A developed spring and a small reservoir are located near the upper end of the ranch. These sources and the live water in the creek and the river provide water for livestock and wildlife. These high points on the ranch provide expansive views of the Snowy Mountains to the south, the south Moccasins to the east, and the entire Judith Basin to west which is formed by the Highwood and Little Belt Mountains. The ranch is located approximately 18 miles northwest of Lewistown. It is accessed by paved roads which give way to graveled county and private roads bringing one to a private bridge crossing the Judith River directly onto the ranch. Lewistown offers commercial air service from Billings via Gulf Stream International Airlines. 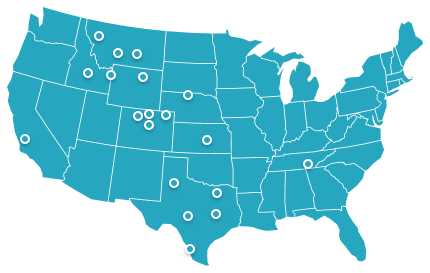 It is also the de facto capital of central Montana and offers a full complement of services to the surrounding ranch communities. Situated in the geographic center of Montana, Lewistown with a population of around 8,000 lies nestled into the heart of the Big Spring Creek Valley surrounded by the Judith, Moccasin and Snowy Mountains. It is a trade center for a surrounding area that is considered to be one of the finest farming and ranching locations in the state. It has also built a reputation for its recreational amenities. It has long been regarded as the best bird hunting region in Montana. From a trout fishing standpoint, the Big Spring Creek is outstanding. The town offers a full array of professional services — medical, legal, accounting — as well as a full complement of hotels, motels, banks, equipment dealers, grocery stores, restaurants, etc. The Yogo Inn even offers conference facilities and during the summer the Charlie Russel ChewChoo operates a dinner train on the narrow gauge railroad between Denton and Lewistown.While this area has not experienced a flood of interest from outsiders like the regions around Yellowstone and Glacier Parks, Montanans are well aware of the charm of the area and the quality of the agricultural land base. It is also a somewhat isolated area that has clung to its Montana values of community and self-sufficiency. Residents of this area rely on themselves for their entertainment and social life which makes for a very good situation. Lying at an elevation between 3,400 and 3,900 feet above sea level, this area has a very pleasant climate by Montana standards. It boasts relatively consistent moisture patterns and is prone to receive Chinook winds during the winter. It is also subject to some heavy snows in the spring. Summers are warm with cool nights. Dryland crops in this area seem to do well as this is a reputation farming and ranching part of the state. First of all, as one can see from the ownership maps, the ranch immediately adjoins a “School Section” (640 acres) on its southern boundary that is considered “captive” in the sense that there is no public access to it. It continues up Big Spring Creek for a linear mile from the ranch and offers perhaps two miles of spring creek fishing that is accessible only to the neighboring ranch. This section also boasts the same bird habitat as Confluence along the riparian corridor and the extensive system of brush-filled coulees that feed into the riparian corridor. The ranch is also blessed by adjoining another 320 acres of excellent mule deer habitat on its northern border — again land that is only accessible by its neighbors. These additional public lands have the effect of more than doubling the size of the ranch by adding 960 acres that can be used for recreational purposes by buying a $10 State of Montana license issued for this purpose. Secondly, prospective buyers should know that the bridge that has provided the most convenient legal access to the property washed out in the spring of 2011. It will be replaced in the spring of 2012 at the Seller’s expense. Currently access to the property is through the neighbor who is the farming and grazing tenant on an old county road that is no longer maintained by the county. The hunting lodge is essentially a one room cabin which includes a series of bunk beds, a dining area, a kitchen and a bathroom. About 100 yards away there is a barn that is used for equipment storage. The perimeter fencing is in good condition and there is some cross fencing to keep the livestock out of the cultivated areas. There is a pond and spring in the upper rangeland portion of the ranch and a well services the lodge. Obviously the ranch has extensive frontage on two major streams — Big Spring Creek and the Judith River. In addition there are irrigation rights filed with the Department of Natural Resources and Conservation out of Big Spring Creek. These rights have not been utilized in recent years. The filings are available upon request from the Hall and Hall offices. Big Spring Creek - see file. Based upon past history, real estate taxes are estimated at around $1,600 per year. Big Spring Creek is one of a few trout streams in central Montana and ranks as the third largest freshwater spring in the world. According to the EPA, Big Spring Creek is one of the purest springs in the US and in addition to being bottled near the source, it is pumped into homes of the residents of Lewistown as their potable water source in an unfiltered state. A portion of the creek is also diverted into a state hatchery which rears over 3 million trout annually, so it is natural that Big Spring Creek is also a fantastic wild trout fishery supporting an average population of 1,500 fish per mile which is quite high for a stream of this scale. The stream is not a floatable stream and it is idyllic for wade fishing running an average of 110 CFS. Big Spring Creek flows in a northwesterly direction through grassy meadows, dense stands of willows and ag lands prior to coming to the Confluence Ranch where it ultimately joins the Judith River continuing north. It is as typical looking as most of the streams of equal size you would find in the “trout zone” of southwest Montana with classic riffles, long runs, deep pools and undercut banks. Its pretty straight forward fishing with standard fly patterns and techniques and not likened to some of the more famous spring creek fisheries throughout the state that require 7X tippet and a PHD in entomology.Historically Big Spring Creek has harbored a greater population of rainbow trout compared to browns, but over the last decade these population densities have merged while the biomass of the stream has remained at static levels. Being a spring creek, the temperatures remain low and fairly consistent only fluctuating during the height of the irrigation season during the warm summer months. The quality of water and flows are conducive to supporting a thriving population of trout with virtually no intrusion of their warm water counterparts despite their downstream existence. The reach of stream on the Confluence Ranch is quite private and there is very little data even from the area fisheries biologist. However there is reportedly a very viable population of trout in this reach with larger fish becoming more prominent. In fact, rumor has it that a 9+ pound beastly rainbow surrendered to a neighboring angler. From an angler’s perspective this is outstanding looking water and the flushing flow event that was caused by the flooding in 2011 will do nothing but benefit this stream. We feel that the fishing is a vastly underrated and under-utilized resource on the Confluence Ranch.The Judith River emerges from the Big Belt Mountains traveling 127 miles to its confluence with the Missouri River at Fort Peck Reservoir picking up Big Spring Creek along the way. Its upper reaches support a small population of trout but dewatering during the irrigation season has an impact on the quality of this fishery. Access is limited to the general public and so is information regarding detail on the quality of fishing at the Confluence Ranch in the Judith. However, there are many springs influencing this river upstream from the ranch and one would assume that Big Spring Creek has a positive effect on it for at least a short reach as it collects additional flows from Warm Springs immediately to the north. The Judith, in this stretch of river, could in fact harbor some decent trout fishing that has yet to be discovered. As mentioned earlier, the Lewistown area is increasingly gaining a reputation as an outdoor recreation hot spot. Montanans have long known this to be the case, though it was information reluctantly shared with outsiders. The subject property is a microcosm of the available opportunities. The Confluence Ranch is a true “mecca” for upland birds and pheasant. First of all both the ranch itself and the surrounding ranches include expansive grain farming operations. Several ranches nearby also are intensively managed for upland birds holistically adding to a stable population of game birds. There is a lot of nesting cover in the seemingly endless system of brushy draws and coulees that feed from the grain fields down to the river. The Confluence Ranch also benefits from the dense stands of willows and cattails along the river corridor which not only gives the birds protection from predators, but provides them with thermal cover enabling them to survive tough winters. So far no one has seen the need to take advantage of the extensive opportunities available to “enhance” what is already naturally terrific habitat through managing the cropland for wildlife friendly crops, food plots, and little things like leaving a strip of unharvested grain easily accessible from adjacent coulees. Honestly, these lands are naturally suited to match the required needs of the three species of upland birds that thrive there and barring any extreme acts of nature, which we do see from time to time, these lands will support thriving populations anchored by the abundance of food from the grain production. Further, the topography makes for really interesting hunting given its diversity in landscape and calls for a real strategy as opposed to pushing fields with straight line hunters. To be effective, seasoned dogs must be deployed to flush the birds from the dense riparian cover, push them through the brushy coulees and find them in the open grasses or expansive fields of grain. 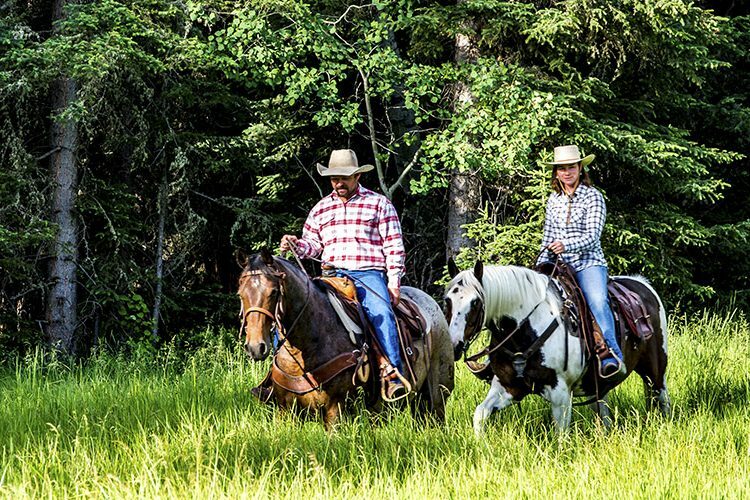 There is nothing easy about it and it is true sport with the quarry often having the upper hand.The ranch currently has a Game Preserve License which is issued by the State of Montana. 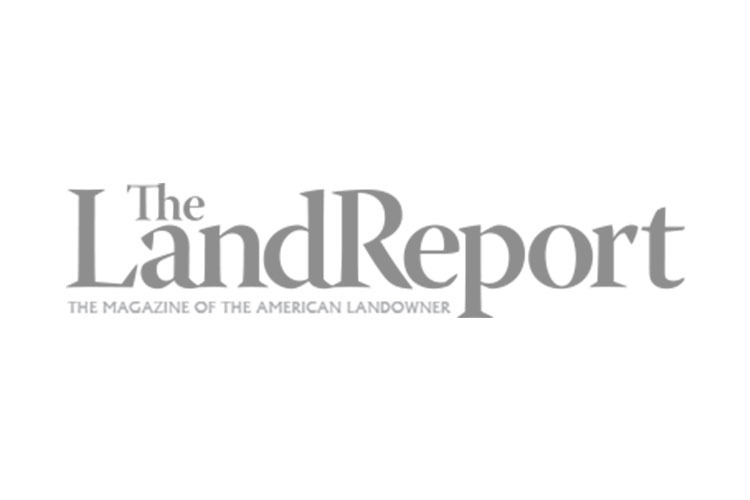 This provides that the owner can “put and take” game birds on the ranch within the boundaries of this license during a period of time that extends from September 1st to March 31st. Although this has not been overly utilized it would allow one to stock pheasant and harvest them without a daily bag limit during this time frame. In theory, one could arrive in the spring when the daytime temperatures can reach back into the 50s and even 60s and enjoy some early season dry-fly fishing for trout combined with upland game bird hunting for pheasant referred to as “cast and blast.” Generally this is only enjoyed in the fall and in fact can be thoroughly enjoyed in September when the terrestrial fishing is at it prime, but in early spring the mayflies emerge and create a second opportunity six months later while still combining the hunting element of it and provides this ranch year-round sporting amenities. Mule deer and whitetail deer are normally abundant on the Confluence as its cross section of habitats is friendly to both species. Disease (EHD) has impacted the numbers in 2011 but the ranch still yielded some nice trophies. There are elk that occasionally roam the lands and hunting is limited to a drawing through Montana Fish, Wildlife and Parks and it would not be fair to categorize this as an elk hunting ranch. This country is pretty well noted as producing large racked animals of all species. The Confluence Ranch has always been operated as a hunting ranch — primarily for birds as far as the owner is concerned. It is for this reason that he has taken out a Game Bird Preserve license from the State for this property. This allows him to plant birds and utilize the full season. 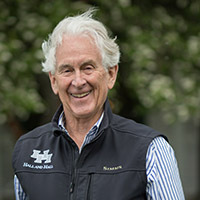 To date however, he has generally managed the ranch for wild birds until the 2011 season when bad weather and flooding in the spring was very hard on the bird populations. Deer hunting is a priority for some of the owner’s friends that lease the hunting later in the season. The ranch is leased out to a neighbor for grazing and crops (primarily wheat and hay) which produce modest income in the range of $5,000.